It wasn’t supposed to be like this. Boxers are boxers and MMA fighters are MMA fighters and that’s that. They stay in their lane and fight others of the same ilk. Besides, we just had a Fight of the Century. It was Mayweather versus Manny Pacquiao and, though it was a bit of a snore-fest, it settled who was the world’s best pound for pound pugilist. So, how did we get from there to here? What makes Floyd Mayweather Jr. versus Conor McGregor the richest fight in history? 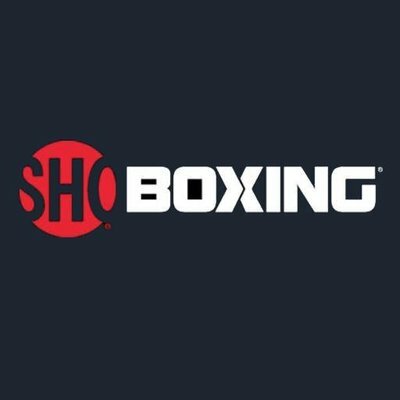 What happened to make Showtime be willing to pony up $100 million to Mayweather and $75 million to McGregor, knowing they will make it up in Pay Per View buys of $100 a pop? How is a fight that should be little more than an exhibition The Next Big Thing? Here at Gildshire Magazines, we love a spectacle as much as the next website and maybe more. We examined the questions and have some answers. Back in the day before the day, sports fans gathered around the family Philco to watch the Friday Night Fights. Boxing, perhaps the purest form of sport, captured the imagination of the public. Jack Dempsey begat Joe Loius and Rocky Marciano. Sonny Liston came before Floyd Mayweather Sr, and Cassius Clay literally became Muhammad Ali. They didn’t need balls, bats, gloves, or masks. Mano y mano at its primal best. Those days are long gone. Professional boxing’s halcyon days ended about the time Mike Tyson went all lunch truck on Evander Holyfield’s ear. Instead, a hybrid form of fighting has caught the imagination of a younger crowd. Yes, they box, at least at first. Then they tumble to the ground groping and grappling, elbowing and spitting. It’s the kind of fight you saw on the playground. Except that these guys are world-class athletes and the fighters on the playground were your neighbor and the kid down the block. Conor McGregor is the most popular of the new breed of fighter, and he’s Number One with a bullet. He made his Ultimate Fighting Championship debut in 2013 and quickly won over the crowd. His Irish good looks, talkative nature, and quick strike capability make fans buy his fights and talk about them the next day. His successful Aug. 20, 2016, fight against Nate Diaz was purchased on a pay per view basis by 1.625 million viewers. The Irish always have potatoes on their mind and McGregor saw the pay per view numbers for his Diaz fight as small potatoes. So, he set his sites on the biggest fight possible. He started by publically criticizing Floyd Mayweather Jr, who had retired in 2015. Eventually, as McGregor’s insults landed, the public outcry grew, and the purse money reached ridiculous heights, Mayweather agreed to the fight. The news shook both the boxing and the UFC worlds to their cores. This would be the biggest fight ever! Could a mixed martial artist with a brown belt in Brazilian Jiu-Jitsu beat the greatest boxer of his generation? The sweet science of boxing, desperately in need of an energy injection, had its Vitamin B12. Floyd Mayweather had one last enormous paycheck and a chance to shut the big mouth of Conor McGregor. For his part, McGregor had his biggest purse by far, and a chance to be a legend across the pugilism divide. It was going to be an epic spectacle! What do we think will happen August 26 at T-Mobile Arena in Paradise, Nevada? Can McGregor’s stand-up striking style, so unusual in MMA, serve him well against Mayweather? Does the betting public, placing so much on McGregor as to drive the odds from 12/1 to 5/1 or less know what they are about? Can Conor Mcgregor back up his chatter with the biggest title fight upset since Buster Douglas beat Mike Tyson? Will the 8-ounce gloves McGregor demanded be the difference he needs? We think not, and bet Mayweather wins in six rounds or less, but we are fascinated to find out. Contact Showtime or your local cable/satellite provider for pay per view details. You don’t want to miss it. The fight takes place at T-Mobile Arena in Paradise, Nevada.